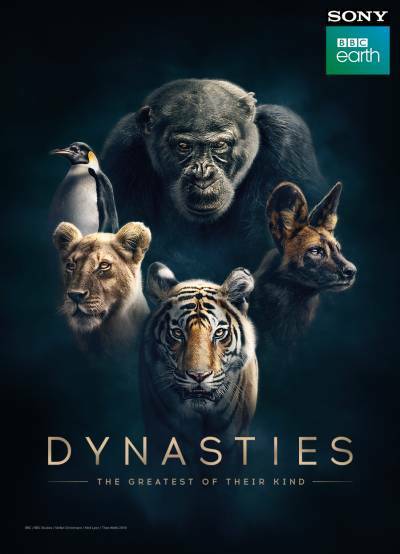 On World Animal Day, Sony BBC Earth - India’s most loved premium factual entertainment channel – showcases its love and respect for the natural world by unveiling the exclusive first-look of the upcoming landmark natural history series Dynasties on Thursday, October 4. Catch the exclusive preview on or on-air on the Sony BBC Earth channel. Presented by the legendary Sir David Attenborough, Dynasties follows the true stories of five of the world’s most celebrated, yet endangered animals. Filmed over 4 years, this exciting new series brings a bold, new level of real life drama to the natural history genre, revealing the complexities of power, rivalry and tenderness in animal relationships. Shot in the most exquisite and jaw-dropping locations, the five-part series will feature the world’s most celebrated but endangered animals, as they do whatever it takes to survive and protect the next generation. From the Emperor penguins in the frozen wastes of Antarctica, lions on the savannahs of Kenya’s Masai Mara, chimpanzees on the edge of the Sahara in Senegal - West Africa, painted wolves on the floodplains of the great Zambezi river in Zimbabwe to the tigers in the jungles of Bandhavgarh, India, the series showcases complex relationships between families and the immense teamwork it takes to defend their territories as they create dynasties to rule on for generations together. Following the astounding success of Planet Earth II and Blue Planet II, Sony BBC Earth takes the audience closer to the natural world through the lives of five iconic animal families. Feel Alive with the most intense stories from the wild with Dynasties – coming soon in India only on Sony BBC Earth.